Alpheus lobidens is one of the widely distributed snapping shrimps at different depths (up to 25m) on soft and hard bottoms of the warm coastal habitats.Ithas received great attention because it was previously misidentified and described as Alpheus crassimanus. 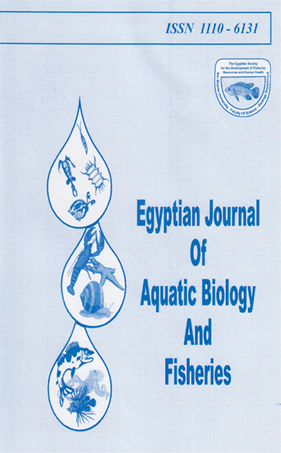 The present study recorded A. lobidens for the first time in the Eastern Harbour of Alexandria on the Egyptian Mediterranean Coast in association with a recently described bryozoan species, Calyptotheca alexandriensis. The seasonal abundance, biometric parameters and the females' fecundity of A. lobidens in the Eastern Harbour were followed during the present study. A total of 76 individuals were collected, with the highestcount during spring and the lowest in autumn. The biometric measurements showed that A. lobidens had lengths within the range of 9 - 32 mm and weight of 3 – 691 mg, for different maturity stages. In the meantime, Ovigerous females formed the highest percent of the population count during summer.